All About Real Estate Auctions: Is the media helping you market? Everyday we hear the "doom & gloom" of the economy from the media. Even if there is something positive, they tend to put some sort of negative spin on it. Real estate is talked about continually, foreclosures, loss of equity, homeowners in trouble. It makes it kind of difficult to sell properties in today's market...Unless, you use the media to your advantage. The media often shows some of the great deals buyers are getting on real estate. As a result, buyers are starting to come back in the market, but are easily overwhelmed with the choices. That's why you need a way to stand out to these buyers, and an auction does that. Real estate auctions are growing fast, because they attract buyers and get the highest and best offer in the shortest amount of time. The media is helping by the messages they keep sending "real estate is cheap", "great time to be a buyer", etc. Now, when a buyer sees an auction sign in a yard, an ad in the paper or any marketing related to auctions, they take notice more than ever before. On top of that, more real estate auctions are moving online. They are easier, the marketing is less expensive and Realtors can do it themselves. 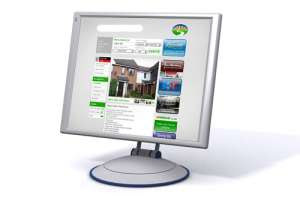 When you have a motivated seller and they want to know what you can do to help them sell their property faster, why not offer an online auction? Now is your opportunity to use the "doom & gloom" of the media to get more buyers interested in your listings than ever before! Are you taking advantage of it?